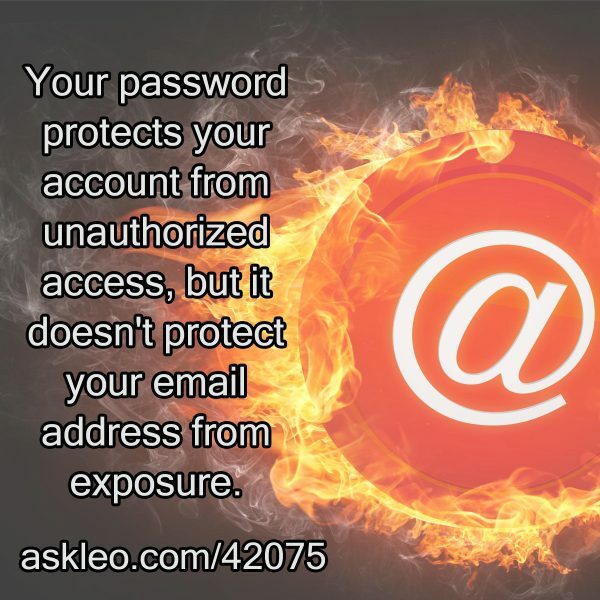 Your password protects your account from unauthorized access, but it doesn't protect your email address from exposure. - Ask Leo! How Do I Protect My Email Address Book? - With email account hacking on the rise, it's important to understand what it takes to keep your account (and its address book) safe from compromise. « Previous post: What Should I Do About the VPNFilter Router Exploit?